Grab your team and your vessel of choice (Boat, Kayak, or Paddle board) and gear up for the 2nd Annual HOBA Water Clean Up! After the event, trash bags will be weighed at Reds Icehouse. Trash bags, gloves, and HOBA gear will be provided with each vessel! After Party @ Reds Icehouse Featuring Baby Fat! Hoba is the best way to find a boat captain, hop on and enjoy a trip on the water! Easily filter and find the best boat captains near you. Book a trip now or any time in the future with two clicks. 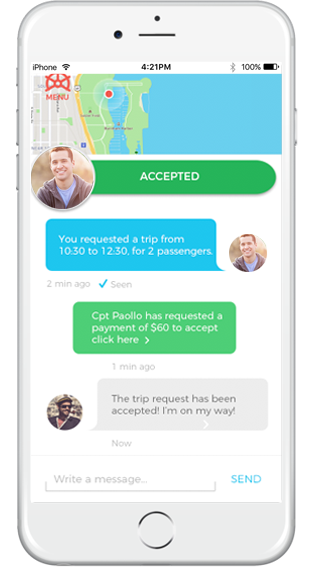 Chat with your captain, pay within the app and go! Book with HOBA! Use hashtag #hobarides to be featured on our page! Just go to the App Store or Google Play on your phone, download the HOBA app, enter your email and that's it! It's free to register and easy to use! You'll negotiate a rate between you and your captain. Just find a captain or boat you like, view their reviews and profile, then click 'Book a Trip' and give them the details of your trip. They'll give you a price and you won't be charged until you accept the Trip. You aren't charged any processing fees for using the app. Just request, book and go! As many as you want! Check out the Captain's profile you're thinking of booking and you'll see their approved capacity on the top right. Are these Captains pre-screened or approved by you? All our Captains are actually pre-screened and approved by the U.S. Coast Guard. We only allow licensed boat captains on our platform and we verify that through our Captain Application Process. Ready to hop on a boat?